The Auvi-Q has returned in ownership to its original inventors and their company, kaléo. An updated post will be published. Visual images should remain relevant, but coverage and other details may not longer apply. 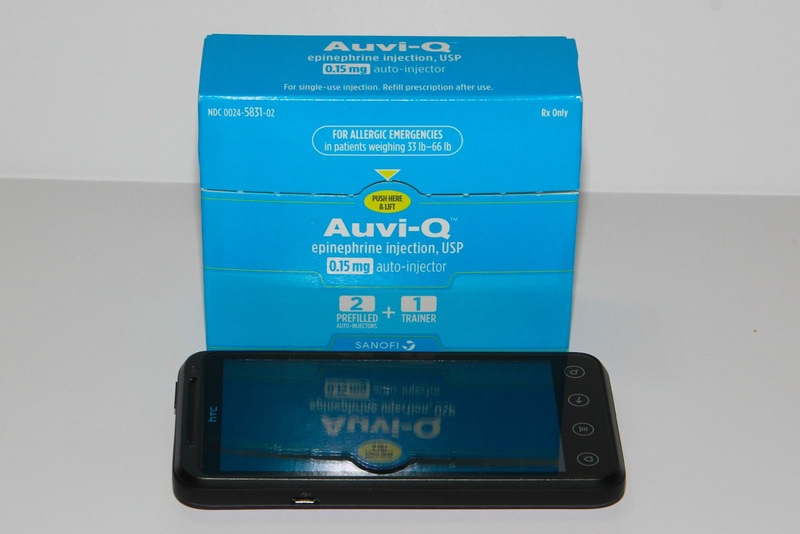 The Auvi-Q™ is now available in the U.S.! Click here for the Sanofi US press release. the Auvi-Q trainer on top of my HTC EVO. plus the prescribing information and patient information sheets! 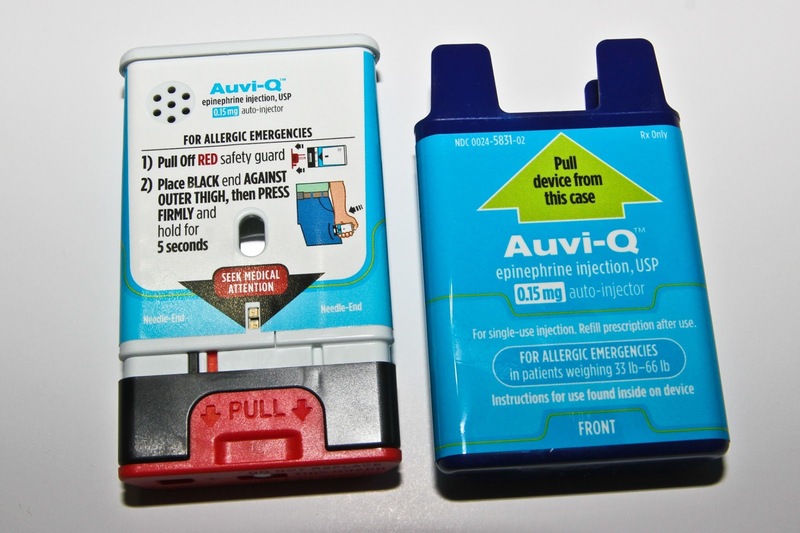 Today, January 28, 2013, is the launch date for the Auvi-Q™ epinephrine auto-injector, here in the U.S. 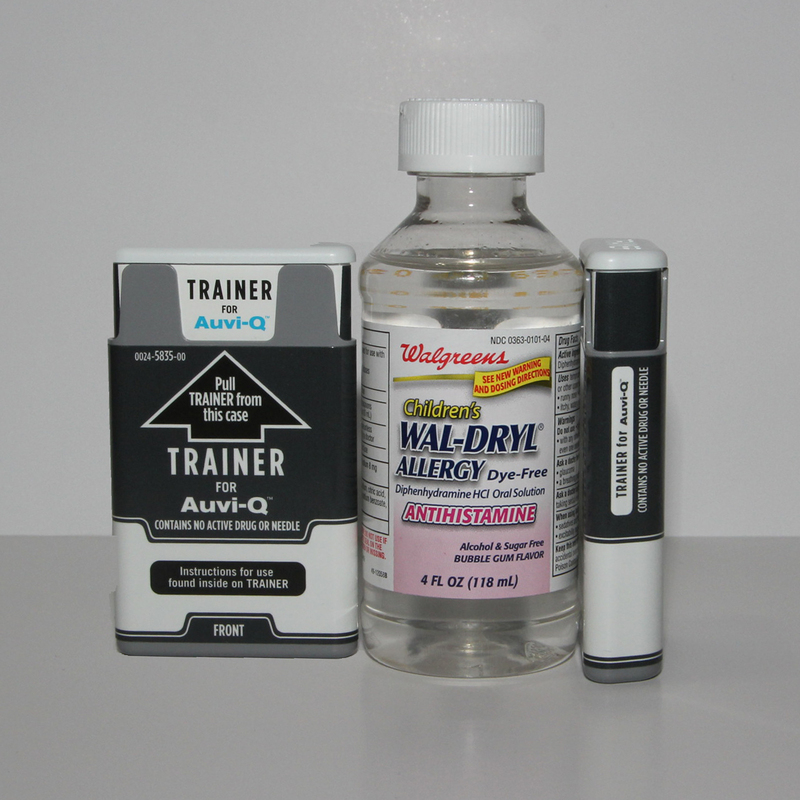 It is the same device as the Allerject, which was launched in Canada. You need a prescription for this device, just as you would for any other epinephrine auto-injector (EAI). The Auvi-Q™ is a brand name and the prescription must be for the Auvi-Q™, specifically. New savings available! $0 out-of-pocket savings card available, with up to a $100 off your co-pay, with insurance, or $100 off the cash price, without insurance! See this post for further information. It's good for up to three (3) two-packs per prescription and can be reused unlimited times until 12/31/2013. There are savings options available for your first 2 prescriptions: You can either pay a $25 co-pay (up to a maximum savings of $60 on your insurance co-pay) or save $60 off the cash price, if you do not have insurance. Go to www.auvi-q.com/signup to sign up for these savings. You can also sign up for refill reminders for your Auvi-Q and/or other EAIs. Each pack comes with 2 live devices and 1 training device, which contains no drug. (My set, pictured in this post, is the 0.15 mg dosage, for patients weighing 33-66 lb. The 66 lb.+ device is orange. 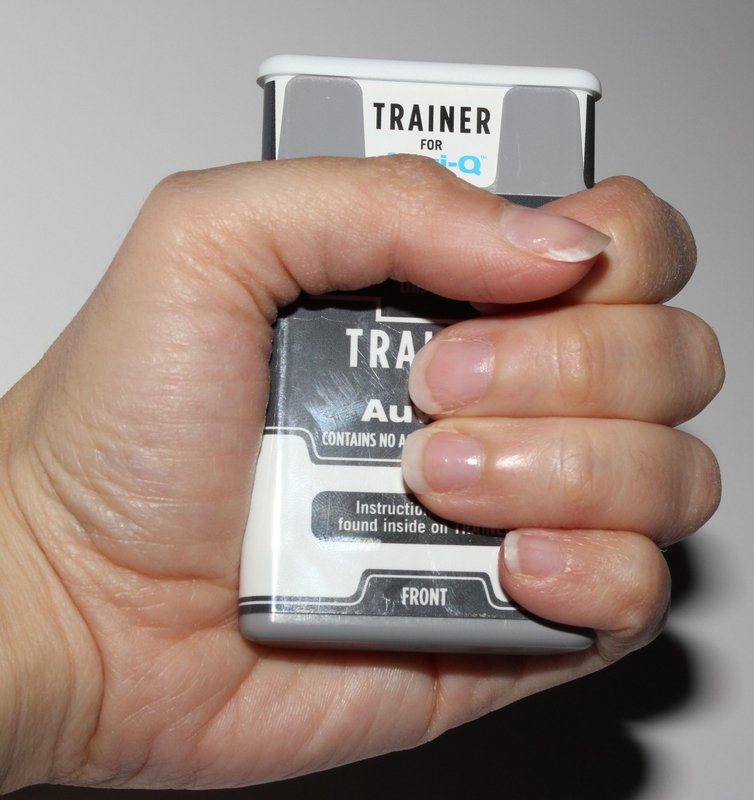 The trainer is distinctively gray. 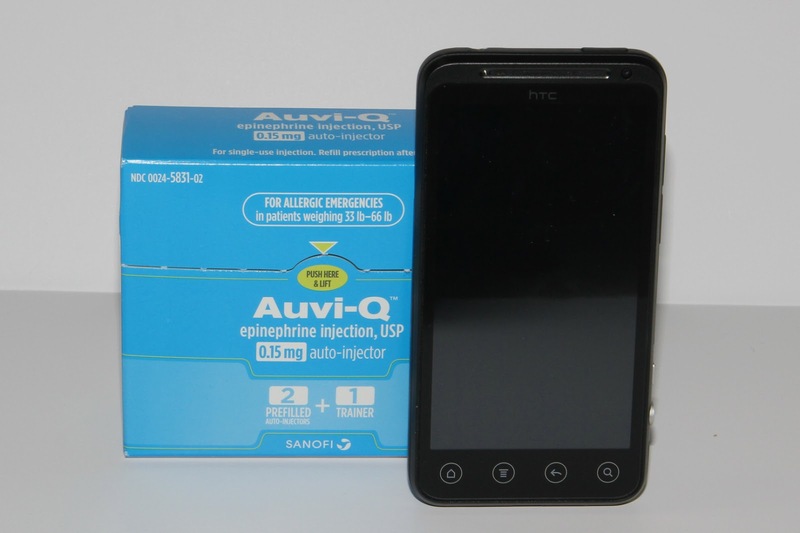 The Auvi-Q™ is said to be priced at the same price-point as the EpiPen®. However, don't forget about the $60 savings on your first 2 prescriptions! Edited to add: Depending on your physician, you shouldn't need a doctor's appointment to get a prescription, if you are refilling your epinephrine auto-injector. 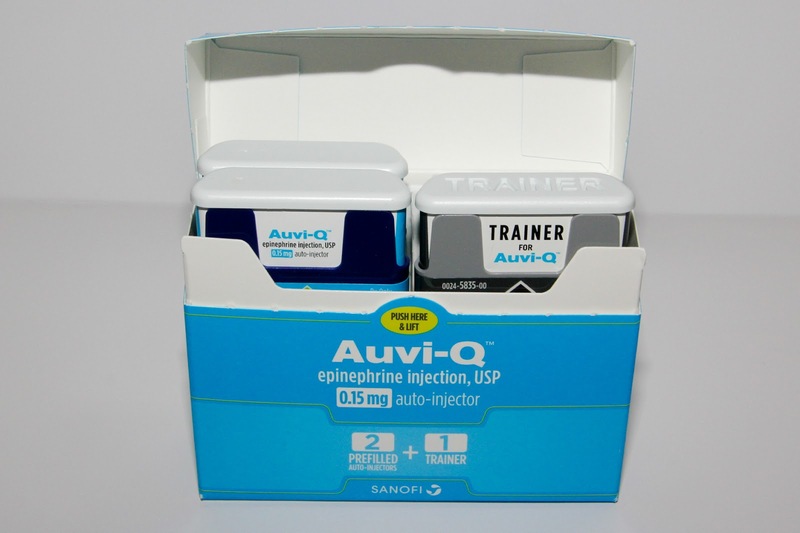 I just called my allergist's office's "medication refill" line and told them about my EAIs that expired, and explained how I wanted to refill my epinephrine auto-injector specifically with the Auvi-Q™ and they called it in for me, without having to go in for an appointment. 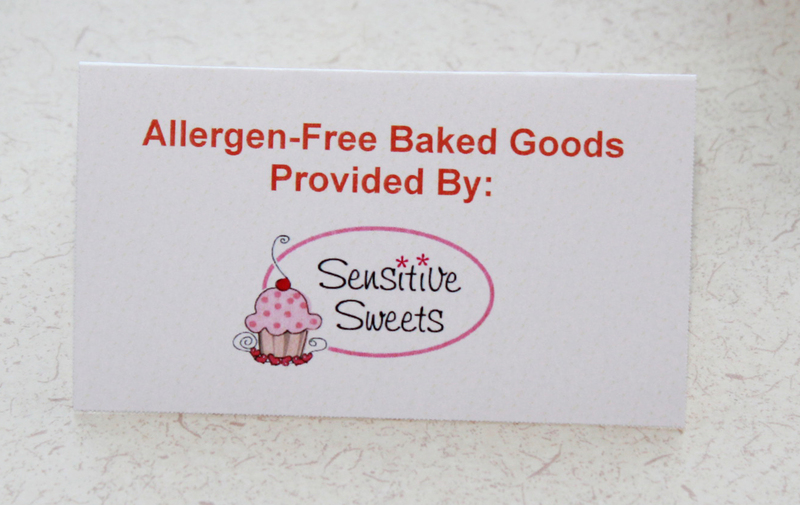 Auvi-Q iPhone and Android Apps - Check out this great post from Mom vs. Food Allergy, about the Auvi-Q app...It's pretty awesome! Insurance tip: Some insurance plans allow for multiple 2-packs to be "purchased" under a single co-pay. If your physician's office calls in more than one set at once (for example, a 2-pack for home and a 2-pack for school) you may only have to pay a single co-pay for the "order". Individual insurance plans may vary, of course. Apparently the medication is dispensed as "AUVI-Q 0.15 (or 0.3) mg INJ, 2VIAL", so make sure that your physician asks for "2 vials" for each set. If you need two sets, make sure they ask for 4 vials, total. 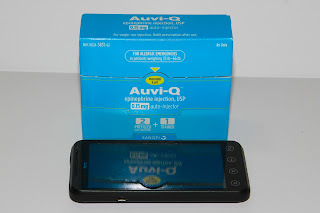 My local Walgreens had the Auvi-Q™ in stock, so here are some pictures. I had a set that expired and needed replacing and I was anxiously awaiting the Auvi-Q's release! Oh, and the expiration date on the set I got is 04/2014, so it's good for 14 months! when holding them both in one hand! If anyone has any questions that I have not answered here, or in one of my posts, below, please feel free to ask. I think it's pretty obvious how excited I am about this device! 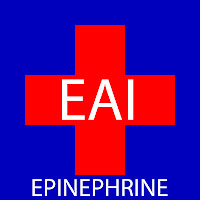 More people carrying their epinephrine = more lives saved! The Auvi-Q has returned in ownership to its original inventors and their company, kaléo. Device features should remain exactly the same, but coverage and pricing details have changed. It was an absolute privilege and honor to be able to attend the Sanofi Social Media Summit in New Jersey. Before I proceed any further with my post, I want to make sure and provide the following disclaimer. Sanofi US paid for all of my travel expenses in conjunction with this summit. However, I am in no way obligated to discuss Sanofi US, the Auvi-Q™, or say anything favorable, etc. I think those of you who read my original post know that I have been excited about this device since I first heard about it. I have been palpably excited, actually wiggling my fingers together with anticipation over this device, and I still cannot believe that I was lucky enough to be invited to see it. It's humbling and I intend to respect that honor by bringing you all my full, honest opinion, as always. "Developed by patients, for patients®" - Designed by Eric and Evan Edwards, it is the product of at least 15 years of dedicated education, research and innovation by twin brothers who have lived with the risk of anaphylaxis and know this condition first hand. This is not a widget being marketed AT us. This is a solution that was dreamed up and materialized FOR us, by two men who understand our needs, because they share the same needs. They founded a company, Intelliject, then partnered with Sanofi US and here we are, on the precipice of what I'm hoping is a great shift towards higher rates of patient carrying of epinephrine. It always makes me shudder to read the statistics that as many as 2/3 of those who should carry epinephrine do not do so, and we read story after story about a teen who has died from an allergic reaction and the repeating part of the story is that they were not carrying their epinephrine. I am very hopeful that this is the device that will finally change that! It's so much smaller than I imagined! - When you see it on their website, it's floating in all this white space, and even though they give the description that it's the size of a credit card, and many of us have taken out credit cards to gauge the size, when we saw it in person, we were still amazed at how compact it was, in our hands! The tapered design makes it very easy to grip, like it's molded to your palm. It's about the thickness of a Blackberry and can easily fit in a shirt pocket, pants pocket, etc. my index finger and thumb wrap all the way around it! Temperature concerns - We asked about the temperature range and since it holds epinephrine, it's subject to the same exact temperature limits (59º-86ºF) that we've always had, but that's not so bad. 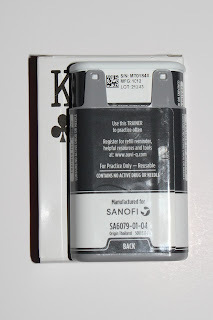 The epinephrine is protected by the outer cartridge and should reasonably hold up to being held in a garment pocket, though Sanofi US representatives couldn't give us an "official" blessing on that, since no official study was done on body head transfer through any particular type of clothing, etc. However, in my humble, non-medical opinion, the slightly out-of-temperature-range epinephrine that you have with you, works MUCH better than the perfectly maintained epinephrine that you left at home! The trainer is GRAY! 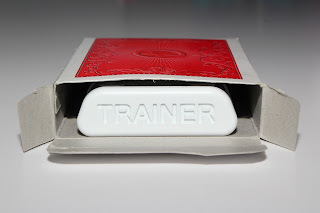 - There is no confusing this trainer with the real thing, or vice versa! 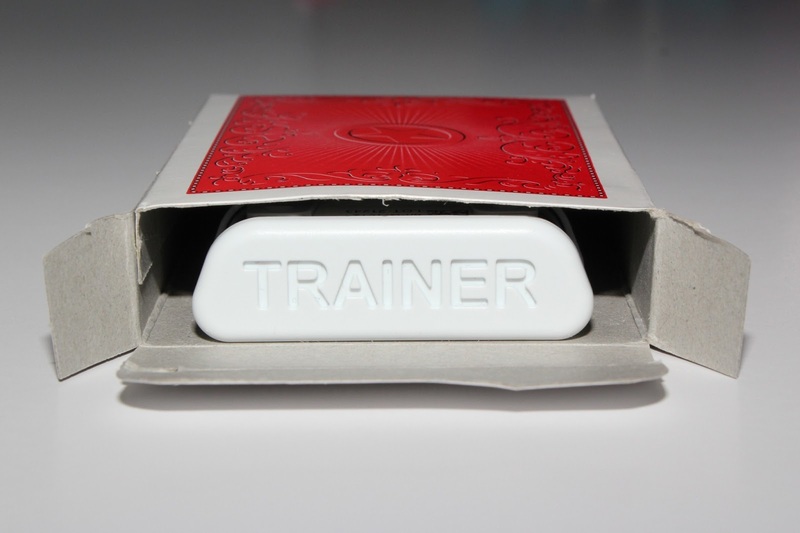 The labeling is dark gray, and the word "TRAINER" is embossed on the top. The audio prompts say that it's a training device more than once. There are labels all around it that reference the fact that it's a trainer. The insert that comes with it tells you it's a trainer, and it practice often, but to remember to always carry your active device for emergencies. At product launch, a prescription will come with two live devices and one training device. Color-coded dosage levels with weight ranges right on the label - Many, many a time, I have seen message board questions (and I have asked the question myself) about the weight limits and differences between the 0.15mg dosage and the 0.3mg dosage. 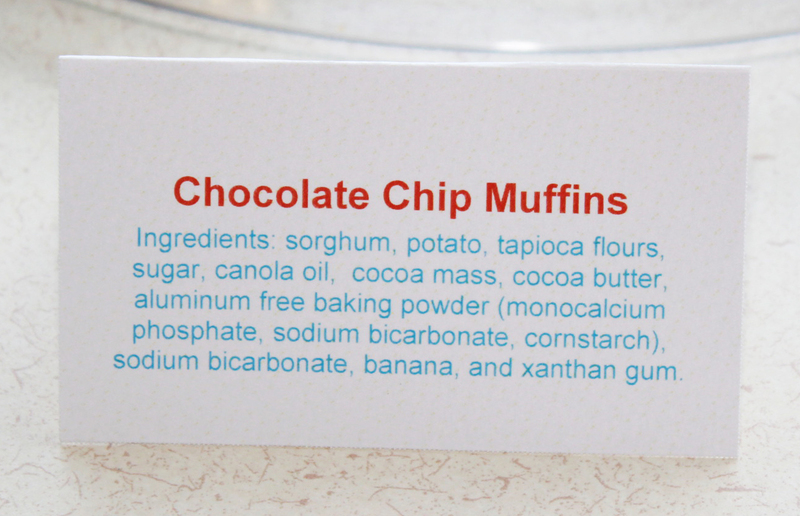 Now, it's right on the label! I only have one child, so it's not an issue for me, but if you have more than one, I think an easy way to remember the dosage for younger children, weighing 33-66 pounds is "BABY BLUE", even though not many babies are 33 pounds. ;) Also, remember, these weigh limits are the same as they have always been and are inherent to epinephrine and not the Auvi-Q™, itself. The administration guidelines and real-world usage of epinephrine still remain the same. Voice prompts not tied to medicine use - You do NOT have to wait for the voice prompts to administer the device. Before we even asked about it, during the presentation, they told us that if we were already trained and ready, we could just take off the cover and cap and administer the device right away. The voice prompts do not affect the administration of the medication. The trainer insert states that the batteries in the trainer (which I assume are similar to those in the real device) will allow you to practice with the device every day for 2 years. Even if due to some glitch, the batteries did not work, the device will still administer the medication. They are independent of each other. There are also the visual cues (pictures) on the device to show you what to do, should the audio not work, or if the person does not speak English, etc. Imagine the possibilities! - This device is so small and represents a quantum leap in the delivery of injectable epinephrine. This is *not* a "talking EpiPen"...It's NOT even a pen! At first, I thought the best part about it was that it was compact and portable. I was completely underrating the fact that it could talk. Imagine the peace of mind this device can bring to friends, relatives, caregivers, school personnel, etc. I'm hoping this will also help bring peace of mind to parents who are nervous around injectables. For many of us, it takes that first experience to get over our fears, but when you see, hold and hear this device, I'm hoping you will find it as comforting as I did. The "cool factor" - Even though this is a life-saving device, which is as serious as it gets, I also think it's just plain cool. I'm hoping tweens and teens will find it equally appealing, as well. I think it's discreet in size, and for those obsessed with having the latest in tech gadgetry, I'm hopeful that this will be the must-have item for their collection. Also, there's really just no excuse left for them to NOT be carrying their epinephrine, anymore. If they can carry a smartphone, iPod, etc., then they can find a space for their Auvi-Q™s! It might be a little "loss prone" for younger ones, like other smaller electronic devices. It might also fall out of pockets, if not properly secured. It was tested to withstand 9-12" of rainfall for 20 minutes, which is completely reasonable, but if it is dropped in a river or toilet, it should be replaced for sanitary reasons. The "dropping in the toilet" is a real concern, if people are carrying it in pockets. I don't think that's anything Sanofi can really solve, but it will be a concern for patients to manage, as they do with all of their small electronics. 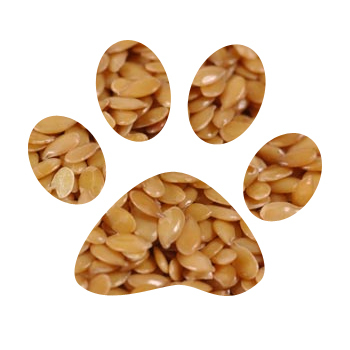 I have a muscle-weakness condition and sometimes have localized minor weakness in my hands. I found the red safety cap a bit difficult to remove, at times. (I have already played with it, oh, about a gazillion times.) It was doable, but I had to figure out just the right angle to give myself enough leverage. I thought of those who might have arthritis and similar conditions. I know we want the device to be somewhat childproof, for the littlest ones, but to me, the safety cap, is just a "safety" precaution, to make sure that we are aware of what we're doing and not something that we want to have as a physical barrier to use. Even my husband remarked that the red safety cap was more difficult to pull off than he imagined and he is a very strong man. He took it off easily upon a second try, but it might be something for Sanofi to consider loosening. None of those are a "deal breakers" for me, though, and I still have high hopes for the Auvi-Q™. I foresee it saving many lives. Having seen it, held it and used it (the trainer, of course), I want to see an Auvi-Q™ in every restaurant, classroom, airport, airplane, public space, etc. Now, when I say that, I mean I want them there for people who do NOT know they are at risk for anaphylaxis and have an unexpected reaction! If you know you are at risk for anaphylaxis, carry your OWN epinephrine! I eagerly await the release of the Auvi-Q™, as I'm sure many of you do, as well. If you have any questions that I did not address here, please feel free to ask. I tried to remember everything, but we covered quite a bit! :) ---> The Auvi-Q has arrived! Check out my post showing what's in the box, now that I actually have the real thing! P.P.S. Some have mentioned that it's the size of a deck of cards, but it's actually smaller than that. Here is a standard deck of cards I had in the house, that I used for comparison. Let me give you a wee bit of my background, first. I have a BBA (Bachelor of Business Administration) degree, with a concentration in International Business and an MBA (Master of Business Administration) degree, with a concentration in Marketing Management. However, I never worked in either of those fields. Go figure. :) I ended up working in the IT field, until I quit my full-time job to have my daughter. After a few years of pure "stay-at-home-Mommy-ness", two of said years spent organizing a playgroup (with the help of some other amazing co-organizing mommies) with 70+ members, I now work part-time at my former IT job, remotely, so I can stay close to my daughter. (All those things were/are made possible by the support of my amazing husband and parents, particularly my father. (My mother is sight-impaired and cannot care for my daughter, though she certainly provides plenty of love and attention.) I am no one-woman-dynamo, I assure you!) Anyway, it's the marketing part of my schooling that I'm dusting off here. Have you ever heard of something called "The Kleenex Effect"? It has also been called "The Branding Effect", but the most famous example is that of Kleenex®. When you sneeze, you might often ask someone to pass you a "Kleenex", but they may really be passing you a "Puffs®" brand facial tissue. I would say "Pampers" is another theoretical example of this, but this has to apply to non-parents, because what diaper-using mommy doesn't know the difference between Pampers® Baby Dry™ and Huggies® Snug & Dry™? (I'm totally being silly, here, but there are some of us who do notice which diapers work better.) 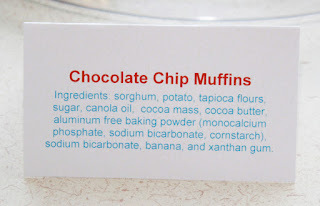 The point is that "Pampers" is a word that became synonymous with diapers. We also often ask for "Band-Aids®" instead of "adhesive bandages", etc. Well, we have that situation going on with the EpiPen®. There is no doubt that the EpiPen® is the dominant auto-injector in town, at least here in the U.S. I don't really know anyone who carries an Adrenaclick® or a Twinject®, though the latter may be used more in Canada. 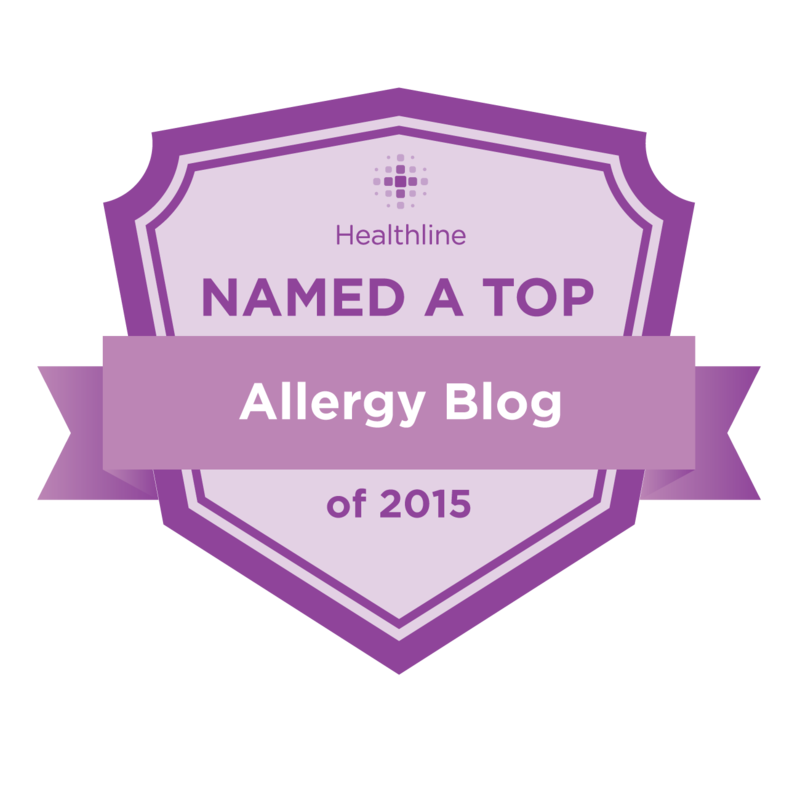 When researching for this post, I found that the main auto-injectors for the UK are the Anapen® and Jext®. I think that when I see people posting about auto-injector use, they are writing about EpiPens, because they really are talking about an actual EpiPen®, as I know that is the case when I do it. However, now I'm noticing that it's popping up in training literature and educational videos, etc. They're writing things like, "When to use an EpiPen." Hmm, what if I have a different device? Don't you mean, "When to use an epinephrine auto-injector?" Sure, it takes longer to write, but I'm talking about technical materials, that should be impartial and independent of brand affiliation. They can certainly mention examples, and I have seen ones that state, "such as EpiPen®, Twinject®, etc.) 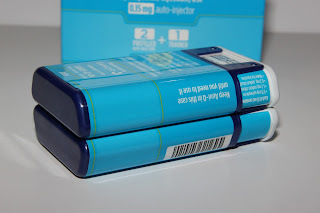 What if Mylan comes out with a new device next year? 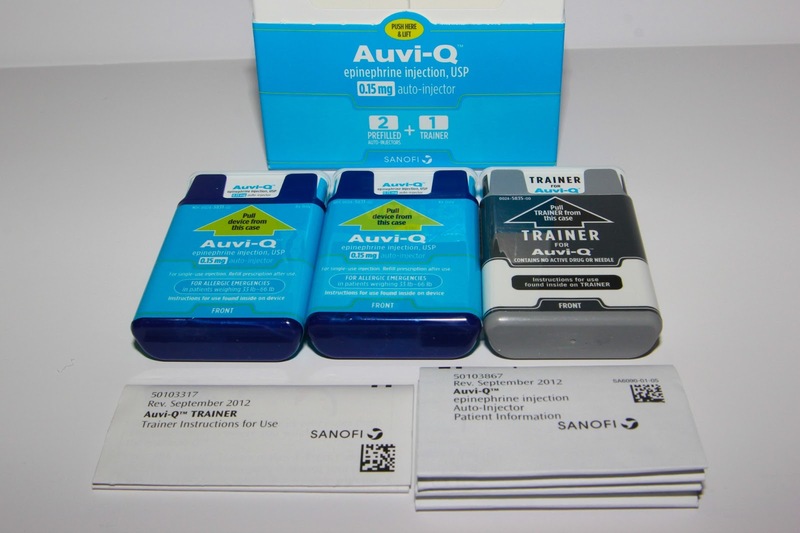 Well, we know at the very least that Sanofi's Auvi-Q™ is due out this quarter. 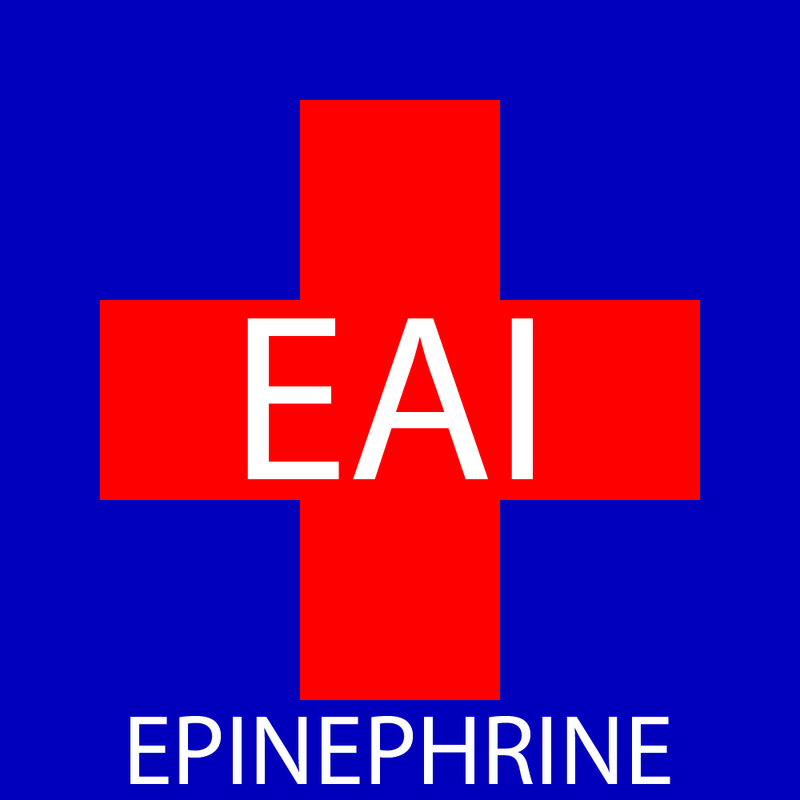 In looking at this from a marketing/future development standpoint, I think we need to return to the standard acronym of EAI (epinephrine auto-injector). It's the acronym I've seen used in various clinical articles and other medical papers. Yes, it's also the acronym that Auvi-Q uses on their site, of course. They must also be aware of this issue. I can't be the only one that has noticed! ;) I think their goals and our goals are compatible, in this case. We want competition in this market. We want innovations and advances. The EpiPen® was redesigned back in 2009 to provide needle coverage before and after use and we now wait to see what new advances are to come in new products. We need the general public to be knowledgeable about all different kinds of auto-injectors. We don't know when we're going to get our wish for these epinephrine stations and we don't know what kind of auto-injectors are going to go in them. 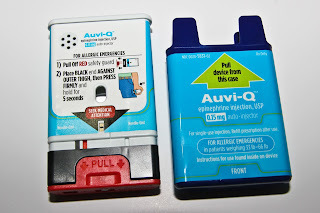 So, in the near future, some of us might be carrying a set of Auvi-Qs™, and some might have an EpiPen 2-PAK® and others may have another brand, or we might be carrying all of them, for good measure! Either way, perhaps we should make it a point to be more specific about what we are discussing when it's a specific item, yet be general in our terminology, when we are not discussing a particular brand of auto-injector. Now, I'm not suggesting we go so far as to bust out with the Alt+0153 on the 10-key to make the ™ and the Alt+0174 to make the ®, every time we write their names, of course, as I only did that for illustrative purposes. However, getting back to using "EAI" when discussing the generic use of auto-injectors will allow that space for innovation and brand diversity, so we don't fall into the "Kleenex" trap.